The World Gold Council (WGC) has published information regarding the activity of central banks of many countries during the last year. Some banks have benefited from the outflow of capital from exchange funds (ETF), by buying gold. Some central banks bought 477 tons of yellow metal – 17% more than in 2013. Last year interest emerged for the purchase of gold from central banks, a noteworthy interest for the past half – century that was just seen in 2012 when 544 tons of gold were bought. According to the review of the World Gold Council: "Russia became the most active country on gold purchase”. The country acquired 173 tons of gold. In the top of countries that acquired more gold, together with Russia there are Kazakhstan, Azerbaijan and Iraq. 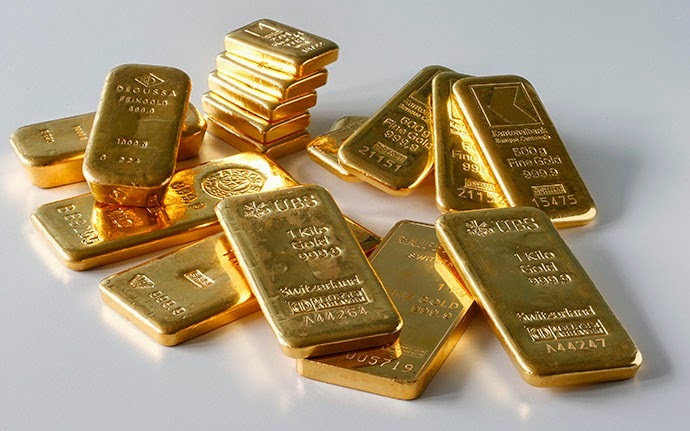 According to experts, the interest of these countries in gold is closely connected with the wish of many countries to no longer be dependent on USA dollar. In turn, among the countries who sold more gold reserves, one of the most active ones was Ukraine. The gold reserves of the country fell for 44% leaving 24 tons in the national deposit. There are non-confirmed suspicions that part of gold reserves were directed from Kiev to Moscow. One more unanswered question is the one about China's gold. The Celestial Empire published the latest official data about gold in 2009. At the moment it is difficult to count how much yellow metal is stored in the country, but it is quite probable that data will be requested by other countries. Participants of the gold market want to know as much as possible about gold reserves of central banks. After all what is the best example in world financial matters if not central banks. However, one matter is clear – the growth of gold purchase and investment is striking. Nowadays, people center their attention in gold and look for the most favorable purchasing conditions. Hundreds of thousands of people found the right answer in the Emgoldex online store, and recommend this unique opportunity to other people so everybody can keep their capital safe and earn money with it! Share this interesting information on social networks and let your friends know more about the most interesting events of the gold world!